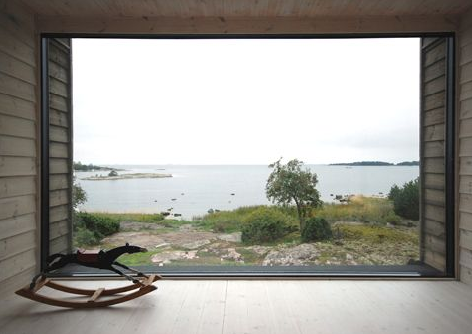 This 250 m2 summer house, completed in 2008, offers views of the sea from every angle. 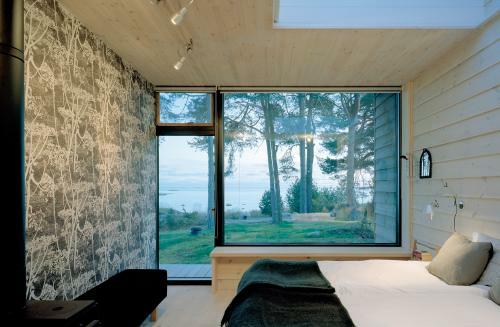 The walls are built from hand-picked panels of Swedish pine. 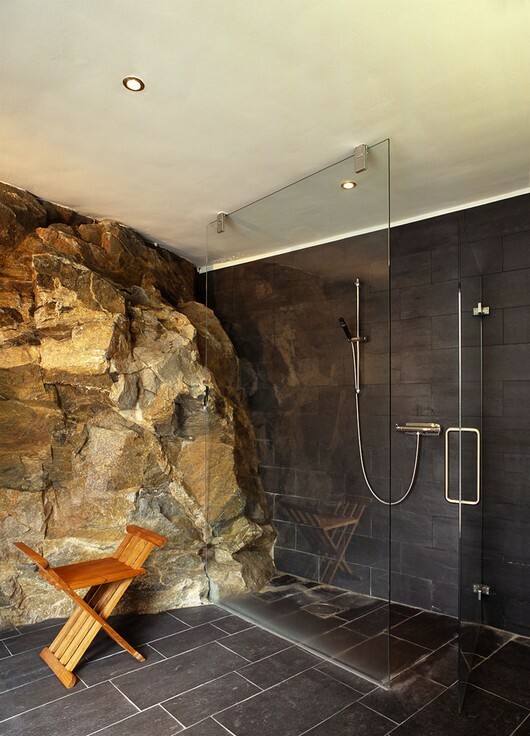 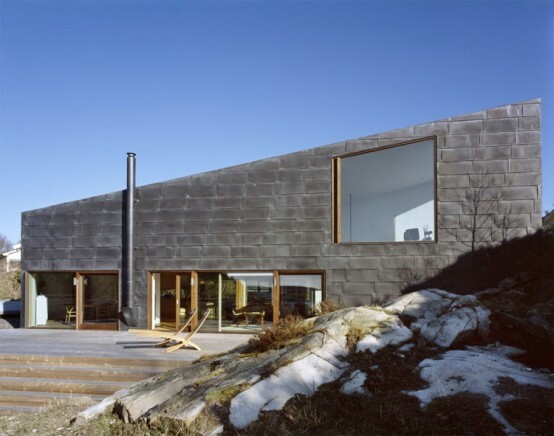 It´s designed by Swedish architects Waldemarson Berglund. 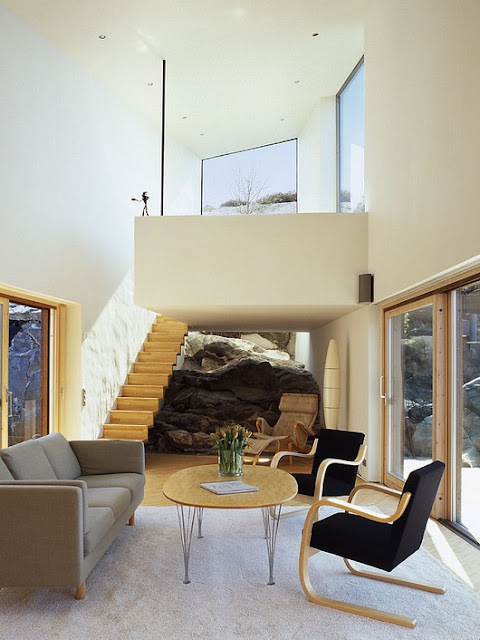 Love the view and the little sofa by the stairs. 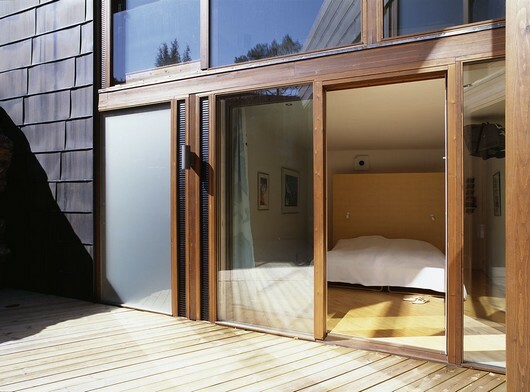 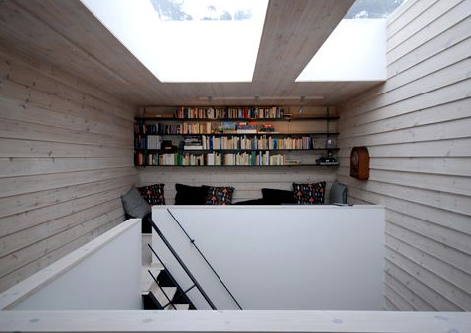 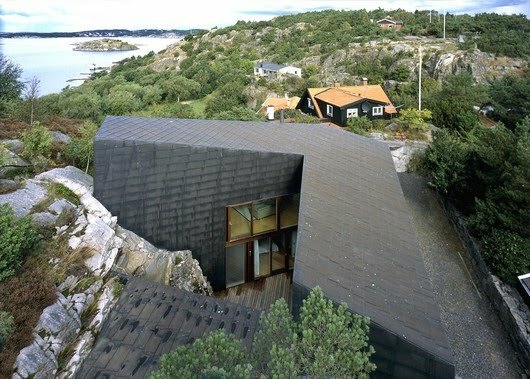 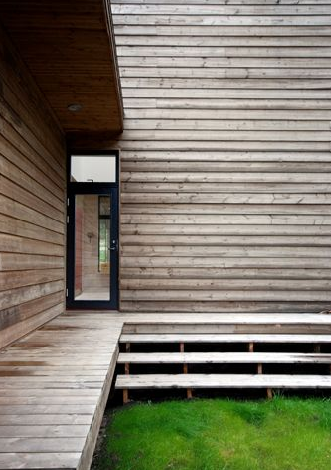 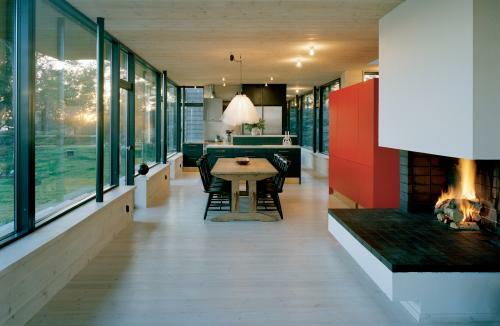 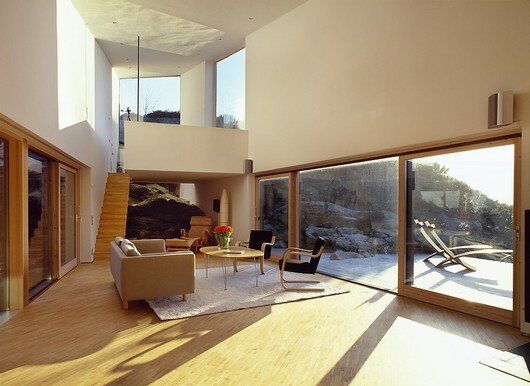 This summer house is located in Sweden, designed by architects Wingårdh Arkitektkontor AB. 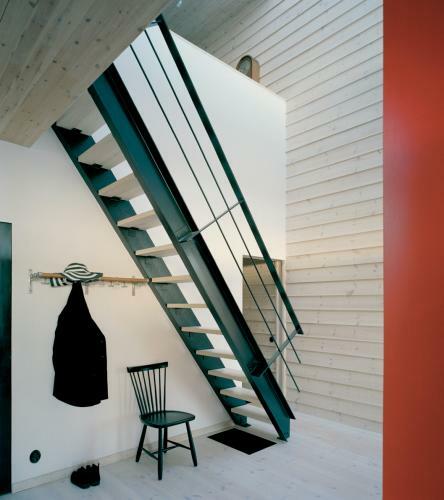 Don´t remember where I found it, let me know if you know! 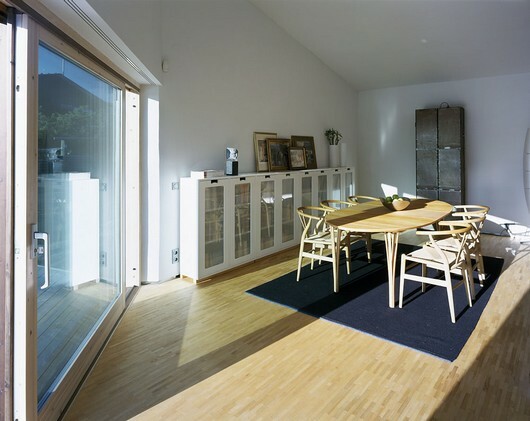 Love the Wegner wishbone/Y-chairs, they seem to be everywhere now.